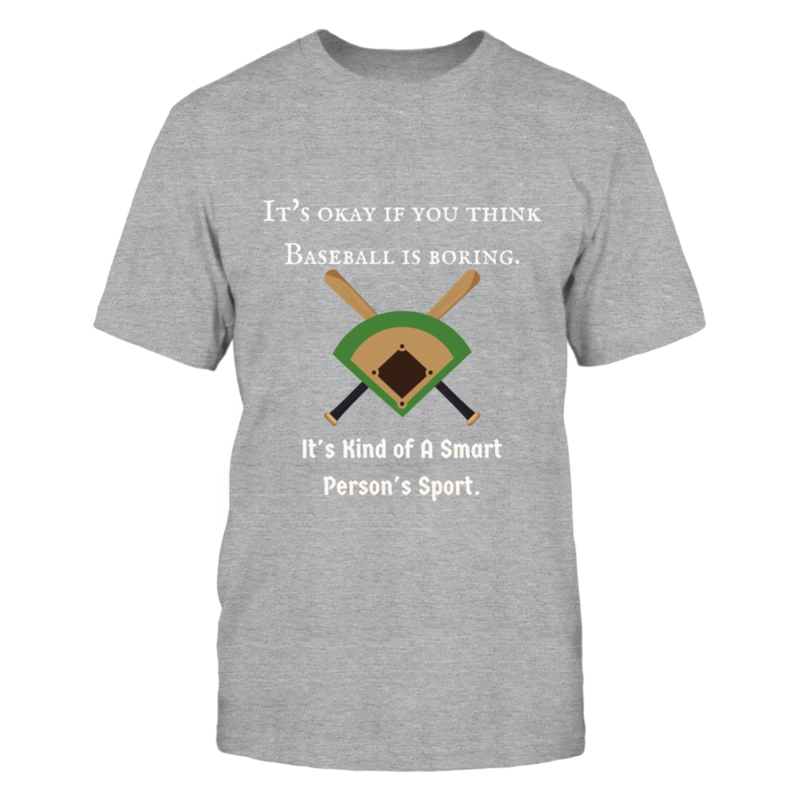 IT'S OKAY IF YOU THINK BASEBALL IS BORING..
Each IT'S OKAY IF YOU THINK BASEBALL IS BORING.. fanatics design is custom-made and printed when the countdown ends. Popular designs may be available on our site after the campaign! District Women's Premium T-Shirt IT'S OKAY IF YOU THINK BASEBALL IS BORING..
District Men's Premium T-Shirt IT'S OKAY IF YOU THINK BASEBALL IS BORING..
Gildan Unisex T-Shirt IT'S OKAY IF YOU THINK BASEBALL IS BORING..
Gildan Women's T-Shirt IT'S OKAY IF YOU THINK BASEBALL IS BORING..
Gildan Unisex Pullover Hoodie IT'S OKAY IF YOU THINK BASEBALL IS BORING..
Next Level Women's Premium Racerback Tank IT'S OKAY IF YOU THINK BASEBALL IS BORING..
Gildan Long-Sleeve T-Shirt IT'S OKAY IF YOU THINK BASEBALL IS BORING..
Gildan Fleece Crew IT'S OKAY IF YOU THINK BASEBALL IS BORING..
Gildan Youth T-Shirt IT'S OKAY IF YOU THINK BASEBALL IS BORING..
Stickers IT'S OKAY IF YOU THINK BASEBALL IS BORING..